We've all been hoping for it! It has been confirmed that Ronan is playing in this year's Celebrity Cup at Celtic Manor, which is one of our favourite events of the year. You can book tickets online, or purchase them on the day. Come along for two days of fun on the golf course! Kent! 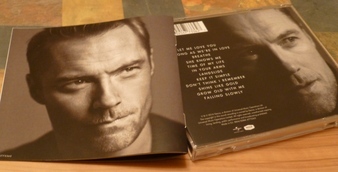 You can catch Ronan live at Rochester Castle on July 12 as part of the Castle Concerts series. He is likely to perform his full Time Of My Life set. Tickets are on sale! Another European summer date has been confirmed: Ronan is coming to Emmen on June 8th, 2018 for the Retropop Festival. You won't want to miss it! The UK talent show All Together Now is coming to Australia's Channel Seven this year, and Ronan will be heading the panel of one hundred judges. The show is to air in Q4/2018, so watch this space! Ronan is returning to Norway this summer to perform at the iFjord Festival in Mo i Rana on June 23rd - and if you're anywhere near on that weekend, you should absolutely jump at the opportunity to catch him live! Tickets are available on Tikkio. **UPDATE** Please note that Ronan's performance in Coventry has been rescheduled to the Godiva Festival on Sept 2nd. This is a free event. If you booked tickets online for Coventry Live on March 30, you will be refunded automatically. If you bought tickets from Ricoh Arena, please contact them for a refund. Ronan is coming to Coventry's Ricoh Arena for an indoor gig on March 30 as part of the Coventry Live music festival! He's performing the full Time Of My Life set. Tickets are on sale through the Ricoh Arena ticketiing website or Ticketmaster. See you all there? The first summer festival performance for 2018 has been announced! Ronan is coming to Sunderland on Aug 10th to headline the Kubix Music Festival. Tickets are on sale through Eventim. In case you didn't manage to catch Ronan in his latest movie role as Harold in Another Mother's Son at the cinema, you can now get the movie on DVD and enjoy watching it at home! We'd love to hear what you think of it, so drop us an e-mail or get in touch via Facebook or Twitter. Ronan is returning to Scotland in October to play in the Alfred Dunhill Links golf championship from Oct 5-7. He missed the final by just one point last year so we hope he makes the cut this time! The event is free for spectators, except for the final on Oct 8th. The 2018 wall calendar is available to preorder now from Amazon UK, Danilo, Calendar Club, Amazon Germany, Booktopia Australia, and most other places that sell calendars both online and offline. Consider supporting your local book shop! Those of you in Australia will be excited to hear that Ronan is joining the cast of Channel 9's Love Child in season 4! For those of you not in Australia - the good news is that previous seasons have been released on DVD, so even if you may have to wait a little longer, you will be able to watch Ronan in this new role. 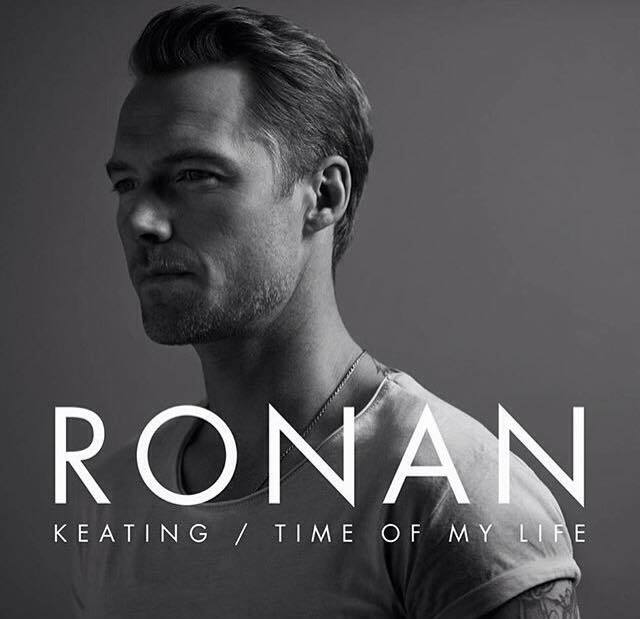 We love seeing Ronan take on new projects and we're really looking forward to this! It's been a long wait, but you will soon be able to watch Ronan in his second movie role... Another Mother's Son is coming to UK cinemas on March 24th! And what's even more exciting - you can book tickets for the premiere screening at Odeon Leicester Square in London on March 16th, which will be attended by Ronan and some of the other cast members. Please check out the movie's official website, as well as Facebook and Twitter accounts. 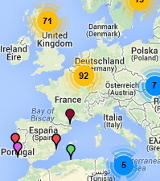 Show times and cinemas will be listed on the official site, where you will find an interactive search feature! Feel free to join our Facebook event for all the latest updates on the movie release. You may have been wondering, or even heard the rumours.... and yes! Ronan's Brighton concert on the Time Of My Life tour was filmed and will hopefully be released on DVD in the near future.... Watch this space! Here's the current list of Time Of My Life tour dates - More countries will be added below as soon as they're announced! We hope to see you on the road :) This tour is going to be very special, so make sure you don't miss it. Here's a list of the promo we know of - watch this space as we will add more whenever new dates are announced. Ronan is performing a couple of tracks live in the studio on BBC Radio 2's Chris Evans Breakfast Show on January 29th - make sure you tune in or catch up afterwards via the Radio 2 website. The show will be online for 30 days! * Update - There is a video on the Radio 2 website of Ronan singing an acoustic version of Phil Collins' Another Day In Paradise, in front of Phil Collins, who was a guest on the show as well. Follow the link to check it out - he looked really nervous but sounded amazing! Also, you can still order a signed copy of the Time Of My Life album via Amazon UK! Too good to miss out on. Album track list and video shoot! Ronan has shot the video for his new single Let Me Love You in London. Check out this short teaser on Youtube - we think it sounds really catchy!! Universal have added a beautiful new mug to their official web store featuring one of the images from the new 2016 wall calendar. Check out a larger photo of them item in the online store - and treat yourself (keep in mind Christmas is just over a month away as well)! We think it's the best Ronan mug ever and if this photo doesn't wake you up over your breakfast then nothing will. Universal are now selling the 2016 calendar too, but depending on where you live, it's probably worth comparing the price and shipping cost with Danilo and other websites selling it because that might be cheaper. New movie role: "Another Mother's Son"
We've been waiting years for this! After being cast for a couple of movies which in the end never happened, Ronan's playing the role of Harold Gould in new movie Another Mother's Son, for which filming started in early November. Other cast members include John Hannah, Amanda Abbington, Susan Hampshire, and Jenny Seagrove. A cinema release is planned for 2016. Watch this space for more details as soon as we hear anythiing! Order 'Goddess' on DVD or Blu-Ray now! Goddess is available on DVD and Blu-Ray in Australia now - You can order it from Fishpond Australia (DVD/Blu-Ray), Fishpond International (DVD/Blu-Ray), Sanity (DVD/Blu-Ray), Chaos (DVD/Blu-Ray) or Big W (DVD plus soundtrack CD/DVD/Blu-Ray). Please note that these are all Australian stores, so be aware of region codes! The DVD is Region 4, which will play in Australia, New Zealand and other Region 4 countries, as well as on compatible players elsewhere. Some laptop drives seem to ignore region codes. The Blu-Ray is Region B and will play in Australia, New Zealand, Africa, Southwest Asia and Europe.